What is the BMC and what does it do? This is the BMC in a nutshell. The British Mountaineering Council (BMC) represents the interests of climbers, hill walkers and mountaineers. It is chiefly concerned with England and Wales but co-operates closely with related organisations, including the Mountaineering Council of Scotland (MCofS), mountaineering training bodies and international organisations, including the International Climbing and Mountaineering Federation (UIAA). We currently have around 76,000 members. More than 50,000 of these are individuals, the rest are members of around 300 climbing clubs affiliated to the BMC. As well as supporting the work of the BMC, members get a range of benefits, including liability insurance, personal accident insurance, access to our unique BMC Travel & Activity Insurance policies, discounts at outdoor shops, reduced rates in Alpine huts, the BMC’s Summit magazine and special offers on a whole range of products including guidebooks and maps as well as discounts for events and courses. The work the BMC does is unusually diverse among recreational bodies, but our members consistently tell us our most important role is maintaining access to hills, mountains and cliffs – and their conservation. We do this through our Access Management Group. Climbers and hill walkers value the natural world and the BMC promotes a wider concern for the environmental and economic interests of the rural communities our members visit. Our charity – the Access & Conservation Trust (ACT) – funds footpath restoration and conservation events and information. 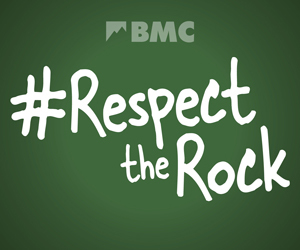 The BMC promotes safety by helping all climbers, hill walkers and mountaineers develop their skills. We run lecture programmes, publish books and offer DVDs and web films promoting best practice. The BMC is also an active participant in overseeing the work of the UK’s various training boards. Through its technical committee, the BMC offers knowledge and advice on safety equipment, and contributes to international standards work. The committee also directs the Equipment Investigation Panel, which oversees the analysis and reporting of equipment failures. The BMC is not a governing body in the way other sporting bodies are. You don’t need to be a member to do these activities, there are no formal rules and no one is required to be certified, unless they are formally instructing young people. Hill walkers and climbers prize the freedom of the hills, and would actively resist such things. There is one exception – competition climbing. The BMC organises lead climbing and bouldering competitions in the UK, hosts World and European Cup events in the UK and supports entry of British team members in competitions overseas. The BMC also organises youth and paraclimbing events. We represent the UK at competition climbing’s world governing body, the International Federation of Sport Climbing (IFSC). We rely on a network of hundreds of volunteers who take on responsibilities as diverse as negotiating access agreements to chaperoning junior competition climbers. Our organisation is split into nine regions, each of which hold regular area meetings and send representatives to our national council. Volunteers also make up the best part of our 11 specialist committees. The BMC George Band Award for Exceptional Voluntary Contribution to Mountaineering is an annual award recognising the great work of BMC volunteers. Climbing, hill walking and mountaineering are activities which can be enjoyed by people of all ages and ability – they are lifelong activities. We aim to be an organisation that every climber, hill walker and mountaineer wants to join. The BMC aims to be as inclusive as possible, supports equal opportunities and works hard to break down discrimination and barriers between those active in the outdoors through the work of its Equity Steering Group. We have a comprehensive child protection policy. How is the BMC organised?